Which prize do you want to redeem your points for? $25 Gift Card to Starbucks - 2500 Pts. $25 Gift Card to Whole Foods - 2500 Pts. $50 Gift Card to Whole Foods - 4700 Pts. $100 Gift Card to Whole Foods - 9200 Pts. $25 Gift Card to Target - 2500 Pts. $50 Gift Card to Target - 4700 Pts. 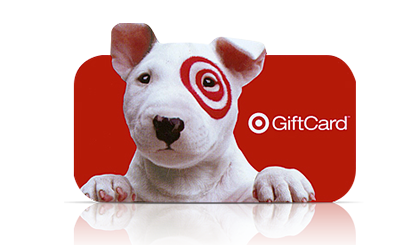 $100 Gift Card to Target - 9200 Pts. $25 Gift Card to Panera - 2500 Pts. $50 Gift Card to Panera - 4700 Pts. $100 Gift Card to Panera - 9200 Pts. $25 Gift Card to Regal Cinemas - 2500 Pts. Football-Shaped Stress Ball - 700 Pts. Soccer-Shaped Stress Ball - 700 Pts. Baseball-Shaped Stress Ball - 700 Pts. DIRECTV Blue Rally Towel - 700 Pts. DIRECTV Highlighter/Pen/Stylus Combination - 500 Pts.